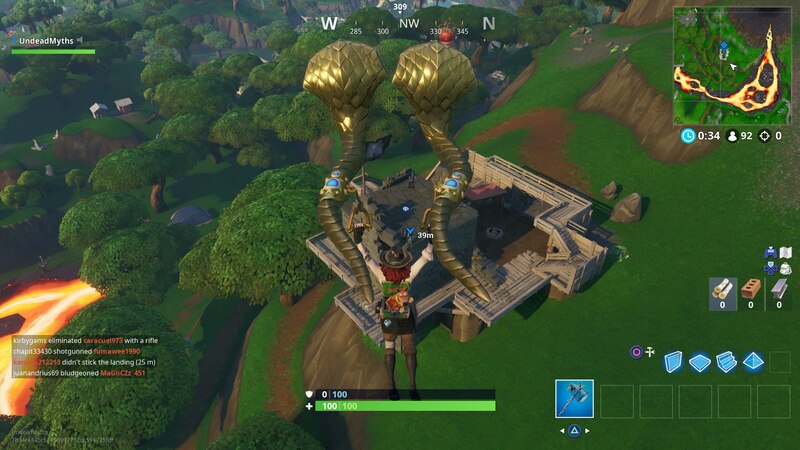 You'll be tasked to 'Visit Pirate Camps in a single match' for one of the Fortnite Week 7 Challenges. 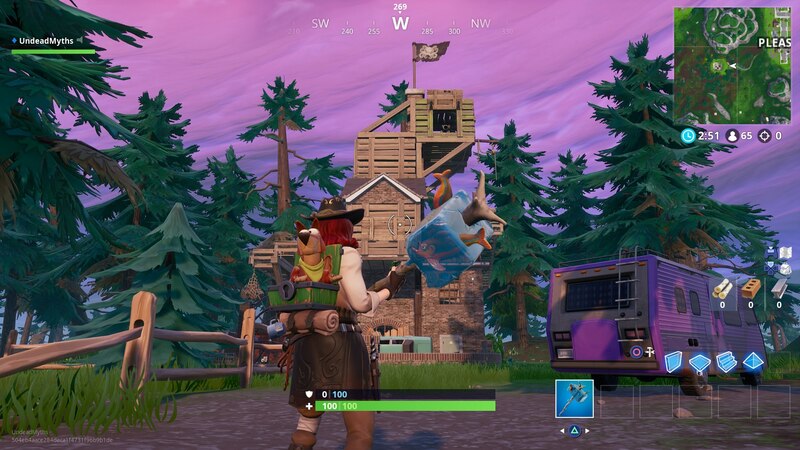 In our Fortnite Pirate Camps guide, we'll be walking you through a complete list of all the Fortnite Pirate Camp locations, so you can find three of them as quickly as possible. But if you instead need any additional information relating to the new season of Battle Royale, you can head over to our full Fortnite Season 8 guide. Here you can find all the information you need on the brand new Battle Pass, all the character skins that are up for grabs, and much more. You can check out the full list of new challenges just below, which make up the debut Week 1 Challenges as part of Fortnite Season 8. 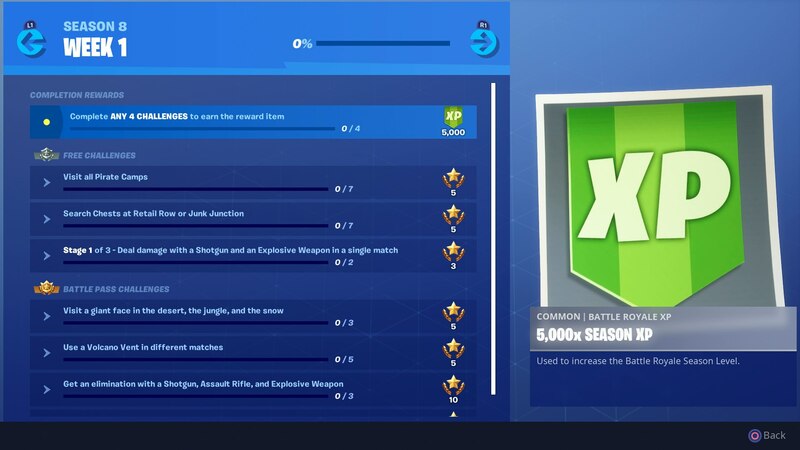 As with previous weekly challenges in Fortnite Battle Royale, there's three 'free' challenges for everyone to complete, and four 'Battle Pass Challenges,' which are locked behind the purchase of the new Battle Pass. 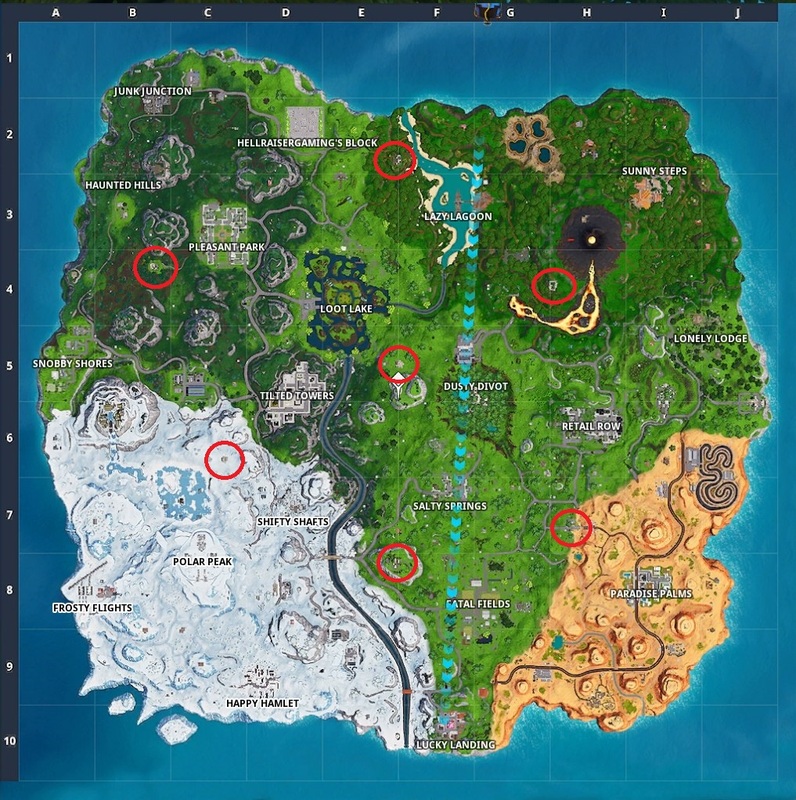 In the image of the new Fortnite Season 8 map just below, we’ve marked the locations of all seven Pirate Camps scattered around the map. Further down, we’ll break down in detail where you can find every single one of these encampments. At the very eastern edge of square E2, you can find a pirate camp on the border of the river. You can recognise it by a black flag, with a white octopus on it. 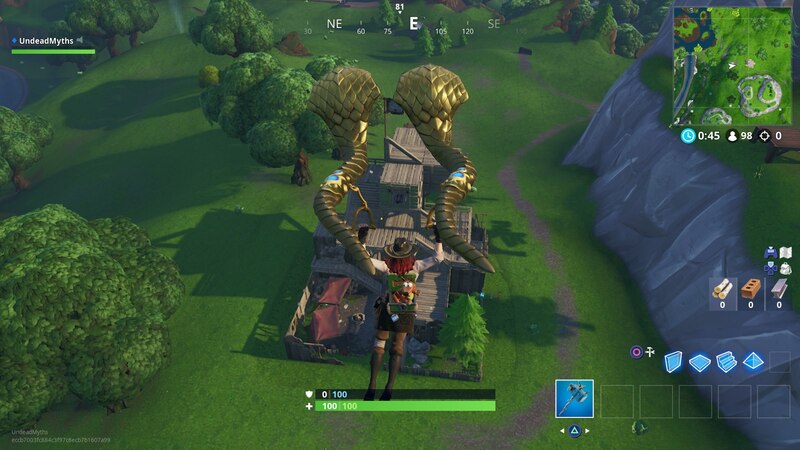 South of Loot Lake lies the E5 square. At the very eastern end of this square, there's a small wooden pirate fort, once again with the black flag. 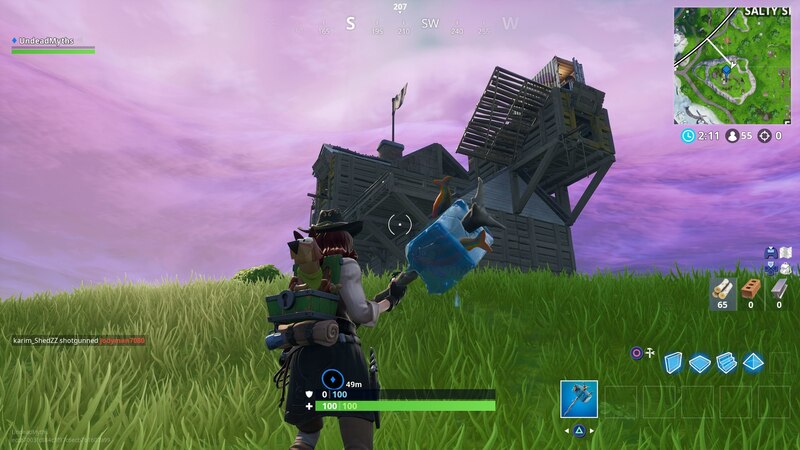 In between Shifty Shafts and Fatal Fields, there's a small mountain. Atop this mountain, you can find another Pirate Camp. Just slightly south and west of the Volcano in square H4, you can find a small wooden pirate fort with the black flag. 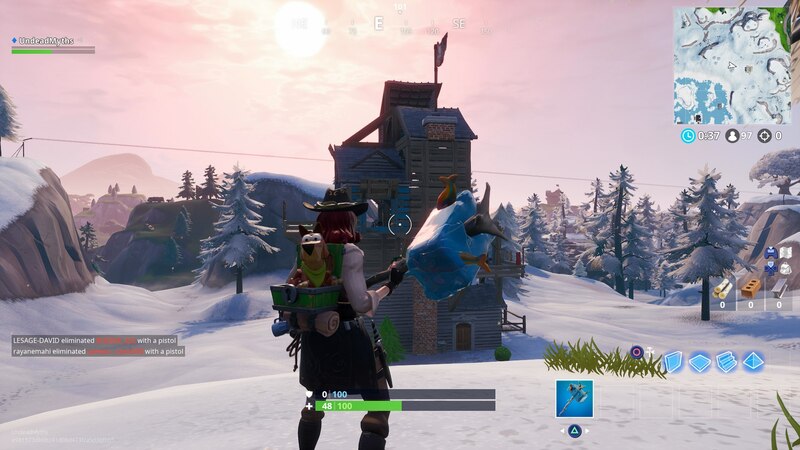 Immediately southwest from Tilted Towers, in the snowy area of the Battle Royale map, you can find another Pirate Camp. West of Pleasant Park, there's a small trail leading just south of a mountain. At the end of this trail, you can find another Pirate Camp. Finally, there's a Pirate Camp located in square H7, just by the broken bridge. 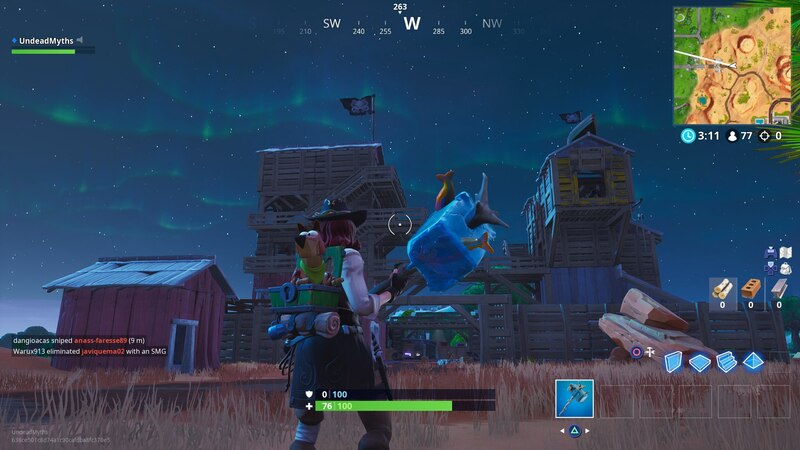 Once you've found any of the Fortnite Pirate Camps listed above, you simply need to enter the premises of the camp itself. This is the only way of counting a particular Pirate Camp towards the total of seven needed to complete the challenge. Until you see a notification pop up near the top left corner of your screen, your visit to the Pirate Camp hasn't been successfully logged. 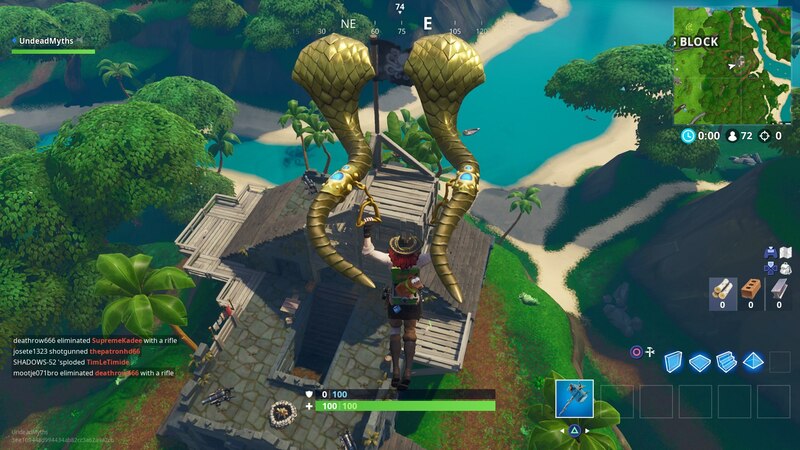 On top of this, don't forget that if you quit out of a Fortnite match after you've visited any of the Pirate Camp locations, it won't be counted towards your total completion. You need to finish the match after visiting a camp, whether that's through dying or winning, to count it towards your total. Now that we're all done here, you can check out our additional Fortnite coverage here at USG. Head over to our Fortnite Season 8 skins guide, for a complete look at all the new Battle Pass skins.